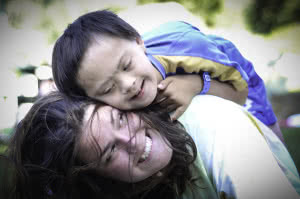 What does check in day look like at BC Easter Seals Camps? Campers are welcome to arrive anytime between 2pm and 5pm. Check in for campers who are coming with Personal Support Workers begins at 1pm. 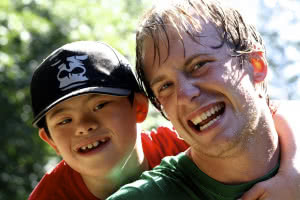 Greetings by staff – As you arrive at camp, you will be greeted by a staff member who will ask for your camper’s name. They will let the counsellors of your camper know that you have arrived. Your coloured number – You will be given a coloured number. This number is your spot in line and allows you to wander about camp, relax and chat with some of the staff and families. Each colour also corresponds with one of our fabulous health care team members who are responsible for administering all medications and performing all medical care. Pre-check screening – Before you get called up to the nurse, you will go through a pre-check screening. Here the staff will ensure that you have all your forms in order. They will also check that the names we have listed on your authorized pick up form are still correct. If you have any changes we will ask to see your ID. 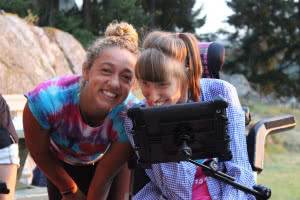 Meeting camp counsellors – Counsellors will have read the camper’s application form, but any extra or updated information you can provide them would be very useful. If your camper has a behaviour support plan it would be good to speak directly with the camper and counsellor about how that might look at camp. You can also explain any personal care routines to the counsellors. They provide basic personal care including showering, toileting, assisting with dressing, etc. Camp bracelet – At the end of checking, your camper will get a camp bracelet to help keep everyone organized.